Marketers in 2017 have been looking to utilize email more to increase their returns and maximize business results. Email has been responsible for driving more than 20% of total revenue so far in 2017, which is up 17% from a year ago. But SPAM rates are up to a record 13% with only a average inbox delivery rate of 87%. 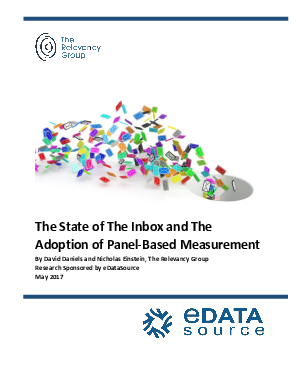 (down 5 points from just a year ago) Download this white paper to learn how to improve inbox delivery, gain best practices for email tactics and methods, see why marketers are using panel data to measure inbox rates & how to utilize panel-based methods to improve overall results.